The September opener kicks off the season with The Poet Sings, including works set to Spanish language poems by Nobel laureate Pablo Neruda. The hugely popular Conspirare Christmas hosts charismatic singer-songwriter Ruthie Foster, and in April Conspirare will partner with Texas Performing Arts and Austin Classical Guitar in a major collaboration to premiere Nico Muhly’s How Little You Are. In May, Conspirare premieres another commissioned work, This Delicate Universe by Eric Banks, for a cappella choir. Conspirare will welcome summer 2015 with a June crowd-pleasing program of Great Choruses from oratorio, opera, and Broadway. Conspirare Youth Choirs, directed by Nina Revering, will again amaze audiences with their artistry as they perform Christmas music in December and a spring program in May. Conspirare’s popular Big Sing occurs three times throughout the season, including a program at the Blanton Museum of Art, a holiday sing, and a spring sing. Thu., 09.18.14 (8pm) Bates Recital Hall, University of Texas, Austin, TX. Fri., 09.19.14 (8pm) Bates Recital Hall, University of Texas, Austin, TX. Sun., 09.21.14 (4pm) Sauder Concert Hall, Goshen College Music Center, Goshen, IN. Conspirare performs works set to poetry of Chilean poet Pablo Neruda. 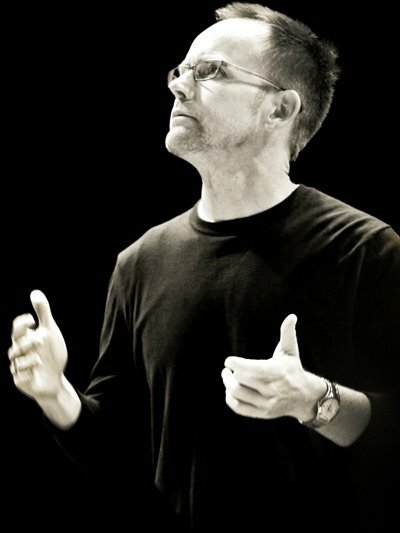 The program includes Ode to Common Things (1995) by Cary Ratcliff, premiering a new version by the composer for four-hand piano, harp, and percussion, with additional guitar; and La Cancion desesperada (2005) by Austin composer Donald Grantham, originally written for Conspirare and newly revised for this concert. Works by Shawn Kirchner and Morten Lauridsen will also be performed. The program will also be performed in Goshen, IN, where it will be recorded for release on Harmonia Mundi. Conspirare’s signature holiday concert, featuring Craig Hella Johnson’s renowned collage-style programming that weaves diverse styles of music into a seamless whole. The 2014 featured artist is Austin-based blues and gospel singer-songwriter Ruthie Foster, returning after a hugely popular Conspirare Christmas appearance in 2013. Conspirare partners with Texas Performing Arts and Austin Classical Guitar in a major collaboration to premiere How Little You Are, a commissioned work for choir and three guitar quartets, based on cowboy poetry texts, by celebrated young American composer Nico Muhly (b. 1981). Performers are Conspirare, Los Angeles Guitar Quartet, Dublin Guitar Quartet, and Texas Guitar Quartet. Conspirare Youth Choirs and Austin Classical Guitar Youth Orchestra will also appear in the concert, which will include additional contemporary works. Conspirare explores human connections with art, nature, love, and our own neighborhoods through transformative music by Eric Banks and texts by Greek-Egyptian poet Constantine Cavafy. World premiere, commissioned by Conspirare through an award from Chorus America. Also featuring the world premiere of Jake Runestad’s “Come to the Woods,” set to text by John Muir. The program will be rounded out by additional contemporary works. Choral music that’s both great and big! Conspirare Symphonic Choir collaborates with the Victoria Bach Festival Chorus and Orchestra to perform a crowd-pleasing program of great choruses from oratorio, opera, and Broadway. Including Beethoven’s “Ode to Joy” from the 9th, selections from Orff’s Carmina Burana, music of Brahms, Mendelssohn, and more! The program will also include the world premiere of a short commissioned work by Donald Grantham. Experience a musical journey inspired by beautiful songs, sights, and colors that only live in the world of our imagination. Featuring music by Whitacre, Dvořák, Pärt, and choral works from the films, Les Choristes, Frozen, and Paradise Road. Special guest artists from Conspirare’s Company of Voices will also be featured. Conspirare’s popular annual spring fundraiser.